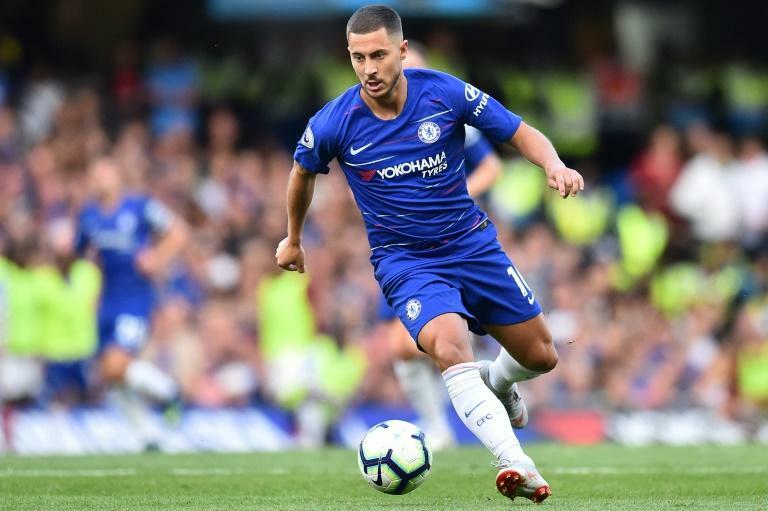 Eden Hazard came off the bench to inspire Chelsea's dramatic 3-2 win over Arsenal, then told Blues boss Maurizio Sarri he is desperate to return to the starting line-up. Hazard has started on the bench for Chelsea's opening two games of the Premier League season after the Belgium playmaker only returned to training earlier this month following the World Cup. But Hazard is pining for a place in the team from the start and he believes his impact as a substitute against Huddersfield and now Arsenal underlines his case. He set up a goal in last weekend's 3-0 win at Huddersfield and helped Sarri extend his 100 percent start as Chelsea manager with the run and cross that teed up Marcos Alonso's 81st minute winner against London rivals Arsenal. "It is better to be on the pitch than watching on the bench, but the boys when they are playing they did well so I am just happy for the win," Hazard told BT Sport. Linked with Real Madrid throughout the close-season, Hazard has been told he is not for sale. Asked about Sarri's impact in his first weeks at Stamford Bridge, Hazard said he admires the Italian's commitment an attacking style and hopes to feature even more prominently soon. "He is the kind of manager who wants the ball, to control the ball. I can't say a wrong thing about that," he said. "I want to play and have the ball at my feet. We have players who can do something magic. "He is a great manager, like we had before."